Texas A&M is known for being tradition-rich. Our traditions are some of the most famous and expansive in the land. Some Aggie traditions are practiced all around the world, and they help to show the true breadth of the Aggie spirit. Likewise, class-specific traditions are known for promoting unity and class-pride and are among some of the oldest and dearest traditions at Texas A&M. One of the most solemn, important, and well-respected traditions at Texas A&M is Silver Taps. It is a gathering of students on campus to celebrate the lives, and mourn the deaths, of Aggies that passed away while enrolled at the school. It falls on the first Tuesday of each month, following the death of an Aggie. Silver Taps was first held in 1898, making it one of our oldest Aggie traditions. All lights on campus are extinguished and all of campus is silent except for the sound of buglers playing a solemn rendition of Silver Taps and the Ross Volunteers sounding a 21-gun salute in honor of those lost. Celebrated in over 400 locations world-wide, Muster is one of the most unique and special traditions of Texas A&M. Beginning in 1883, and slowly evolving into a celebration that coincides with Texas Independence Day on April 21, Muster is a remembrance of every individual’s time at Texas A&M and recognition of all Aggies that have passed in the year since the last Muster. 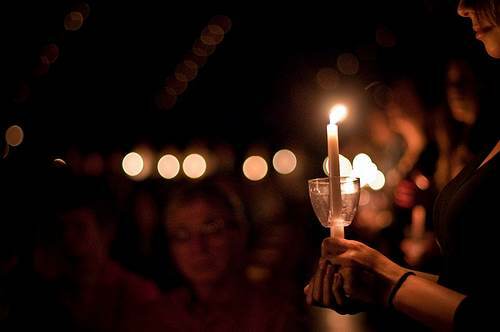 While the campus Muster ceremony remains the largest, Aggies gather everywhere on Earth to speak for those that are no longer with us and celebrate the connection that we all share as members of the powerful Aggie community. Maroon Out began in 1998 when all Aggies were encouraged to wear maroon to a designated football game. We wanted to show one of our top-ranked visiting opponents that 80,000 Aggies in a sea of maroon at Kyle Field are a force to be reckoned with! Since then, Maroon Out has become a highly anticipated tradition that celebrates the unity of the Texas A&M Aggie Family. It is not just about wearing a maroon t-shirt, it is the physical embodiment of the spirit of the 12th Man. New traditions play as large a role at Texas A&M as those that are as old as the university. 11-11 Day, while only a few years old, is an important display of respect, gratitude, and recognition from the Aggie community to all Aggie Veterans, as well as Aggies currently serving our nation, for their service and sacrifices. This tradition includes a fundraising opportunity through t-shirt sales and generous donations designed to provide the financial resources needed for student veterans to afford their Aggie rings. Midnight Yell evolved from a post-dinner activity in 1913 to all-out “Good Bull” spectacle in 1931. While the stories may vary, what can be said is that Yell Practice has now become one of the most well-known and popular Aggie traditions. Occurring the night before every football game, thousands of Aggies and visitors pile into Kyle Field at midnight to practice the yells and songs that will help us “beat the hell” out of our opponents the next day. Home game yell practices are held in Kyle field, and away yell practices get their own designated site. 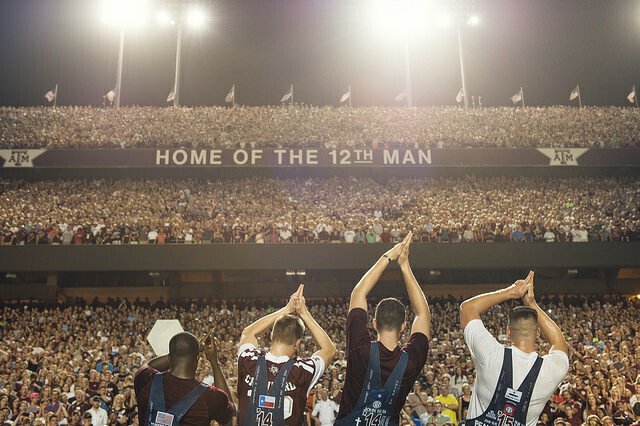 No matter where it’s held, Midnight Yell pumps up the 12th Man for the big game! 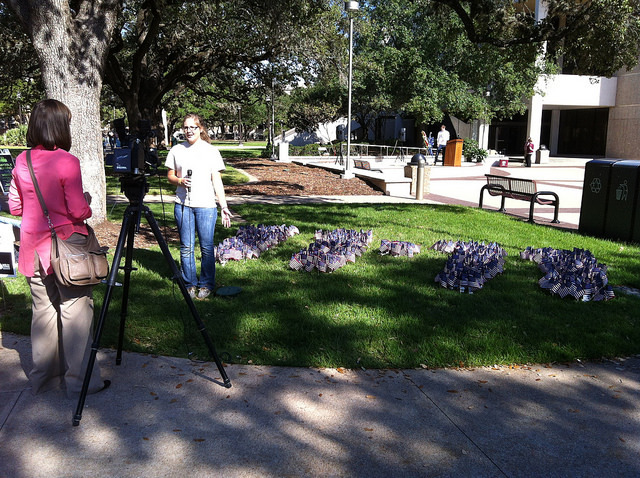 There was a tragedy within the A&M community on November 18, 1999. The annual Texas Aggie Bonfire, built to symbolize our burning desire to beat the University of Texas, collapsed. Twelve students were killed and 27 injured. The Bonfire Memorial was erected to celebrate the tradition, history and spirit of Texas A&M, and as a dedication to those involved in the tragic collapse of the 1999 Bonfire. The Bonfire Memorial not only unites Aggies’ past, present and future, but it also embodies the many layers of meaning associated with the Aggie Spirit—a deep sense of belonging, a strong spirit of teamwork and leadership, and an enduring sense of tradition that unites thousands. Every year, in the early morning of November 18th, students and the Aggie community visit the memorial in remembrance of this tragic event. Every class year celebrates at least one annual tradition that brings fellowship and solidarity to its members. Freshmen bond during Fish Fest, sophomores pull rank at Pull Out Day, and juniors celebrate their rise as leaders of the 12th Man during Junior E-Walk. Seniors participate in two of Aggieland’s oldest traditions, Elephant Walk and Ring Dance, both celebrating special times spent in their four years here at Texas A&M. Designed officially for the freshmen class, Fish Fest is one giant unifying experience. What better way to socialize and celebrate the end of the year than with a festival of music, food and prizes. 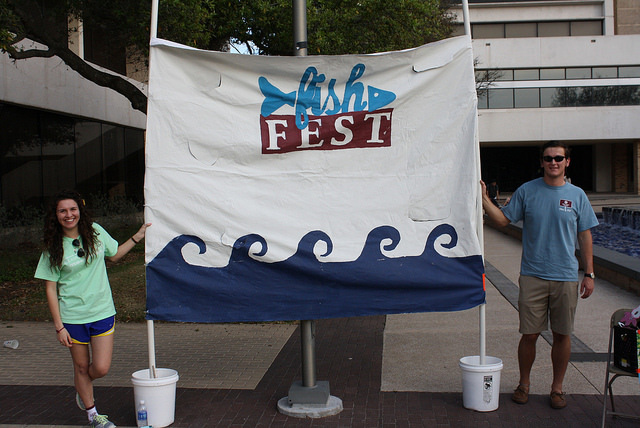 Fish Fest offers something new each year but always seems to bring out something important for those participating—memories of their first year as an Aggie. Being a sophomore can test your patience when you are so close to having those junior privileges. Well, sophomores, the wait is over! Pull Out Day is the official sophomore class event when all members of the class get together to “pull-out” (i.e. pull rank) by claiming the junior privilege of “WHOOP!-ing.” (Ah…that sweet sound of Aggieland.) Normally, this sacred sound is specifically reserved for juniors and seniors, but not on Pull Out Day which marks the end of sophomore year and the beginning of the upperclassman years of an Aggie’s experience. One of the oldest traditions, Elephant Walk, began in 1922 when a couple of Aggie Band freshman attempted to break a curse upon the Aggie football team by walking around campus while playing a funeral march. As seniors in 1925, they decided to make that same trip, but this time, reliving their good times in Aggieland . Walking single file, with hands on each other’s shoulders, an observer noted that they “looked like elephants about to die” and thus, the tradition was born. The event represents a final walk down memory lane for seniors about to depart from Texas A&M, and while the walk can be a bit solemn, it is also a celebration complete with food, entertainment, and real, live elephants! Since 1889, one of the greatest days of an Aggie’s life is the day they get their Aggie Ring, often seen as a traditional mark of a student whose days on the campus are coming to an end. Given this, the seniors of the Class of 1936 thought that a dance with the ring as the predominant theme would be appropriate as a final function of the Senior Class. 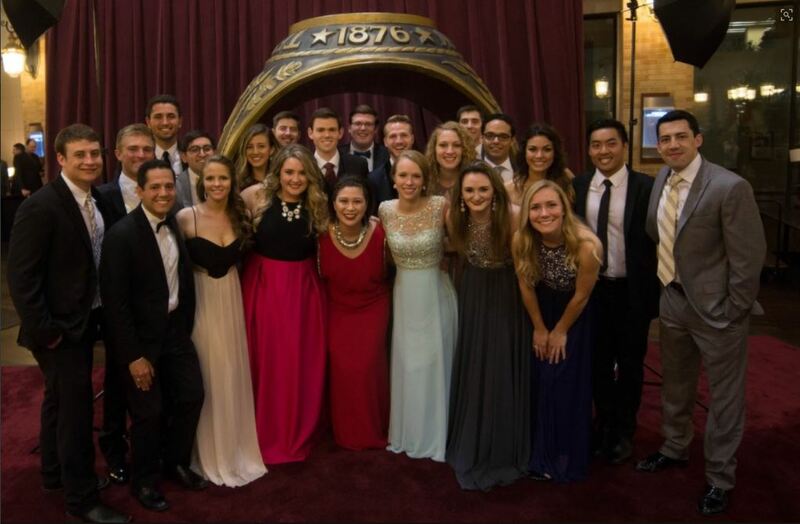 Since its creation in 1936, Ring Dance has been the last official social function for seniors in Aggieland. At Ring Dance, seniors step into a giant replica of the Aggie Ring, turning their ring so that the class year no longer faces them, but faces the world. Seniors are able to reflect over the past years spent in Aggieland and anticipate the future. And as each person steps away from the ring, another steps in, continuing the tradition that will go on as long as there is an Aggieland. Ring Dance is also the largest class fundraiser, topping off the funds that go towards the class gift.